Lockheed Martin’s Terminal High Altitude Area Defense (THAAD) system. The 2018 midterm election will be held on Nov. 6. And thus far, through at least Oct. 16, defense contractors have donated $24,844,775 to federal politicians and political parties, according to an analysis from the Center for Responsible Politics, which draws on the Federal Election Commission’s latest political-candidate-contribution report. While these defense industry contributions are substantial, they are many times smaller than the financial sector, which leads all federal contributions with nearly $554 million in contributions. The Center for Responsive Politics’ numbers include all donor contributions to outside groups and political action committees, as well as individuals giving over $200. Open Secrets also notes that donations don’t come from the firms themselves but rather from their PACs, employees or owners, or those individuals’ immediate families. An AH-64D flies in front of the sun at Grafenwoehr Training Area, Germany. DynCorp International is a Virginia-based company that provides all kinds of training, intelligence, and aviation services for the military, including maintenance for the AH-64 Apache program. Thus far in 2018, its employees and PAC have given 51.2% of its contributions to Democrats. Dyncorp has also been accused of bilking the federal government out of millions of dollars between 2004 and 2008 for their work in the Iraq War. Dyncorp didn’t donate any money to candidates in the election cycles immediately before and after the US invasion of Iraq in 2003. The first contributions by employees came in the 2006 election cycle and increased in 2008. Rockwell Collins’ Embraer Legacy 450/500 with Pro Line Fusion avionics system. General Atomics is a San Diego-based company that makes missile defense systems, aircraft launch and recovery systems and more. Thus far in 2018, its employees and PAC have given 76.5% of its contributions to Republicans. Cobham Management Services is a British company that manufactures a variety of technology for the military and even the refueling system for the KC-46. Thus far in 2018, its employees and PAC have given 67.4% of its contributions to Republicans. Based in Virginia, Leonardo DRS is a technology company that makes the T-100 Integrated Training System for the US Air Force’s T-X program. Thus far in 2018, its employees and PAC have given 63.3% of its contributions to Republicans. California-based Cubic Corp. provides a lot of information technology to the US military, including the Cubic P5 Combat Training System for the F-35 fighter jet. Thus far in 2018, its employees and PAC have given 71.9% of its contributions to Republicans. Based in Nevada, Sierra Nevada Corp. is another technology company, and it provides the integrated airborne systems for the C-130. General Electric is a large US conglomerate that makes military engines, avionics and more. Thus far in 2018, its employees and PAC have donated 55.4% of its cash to Republicans. SAIC is another Virginia-based technology company that was contracted last year to help plan and operate the Defense Department’s information networks, and, at times, conduct military cyberspace operations. Thus far in 2018, its employees and PAC have given 51.5% of its contributions to Republicans. Based in New Jersey, Honeywell International invents and manufactures a lot of technology, including the T-55 turboshaft engine for the CH-47 Chinook helicopter. So far in 2018, its employees and PAC have given 54.1% of its contributions to Republicans. Based in New York, L3 Technologies provides communication and electronic systems for the military and recently received a contract to support the US Army’s Apache Manned/Unmanned Teaming – eXpanded Capabilities (MUMT-X) helicopter program. Thus far in 2018, its employees and PAC have given 62.6% of its contributions to Republicans. U.S. Navy photo by Photographer’s Mate 2nd Class H. Dwain Willis. Leidos Inc. is a Virginia-based technology company that, among other things, provides command-and-control software and planning systems for the military and intelligence community. Thus far in 2018, its employees and PAC have given 56.4% of its contributions to Republicans. The US Navy Arleigh Burke-class guided-missile destroyer USS John S. McCain in the Philippine Sea. Virginia-based Huntington Ingalls Industries designs and builds Gerald R. Ford-class aircraft carriers and Arleigh Burke-class destroyers and touts itself as America’s largest shipbuilding company. Thus far in 2018, its employees and PAC have given 58.5% of its contributions to Republicans. BAE Systems is a British company that designs and manufactures combat ships and aircraft, among other things, and even designed a railgun prototype for the US Navy. Thus far in 2018, its employees and PAC have given 58.9% of its contributions to Republicans. Harris Corp. is based in Florida and provides a lot of tactical communications, avionics, and electronic warfare, among other things, including the Falcon radios seen above. Thus far in 2018, its employees and PAC have given 55.5% of its contributions to Democrats. 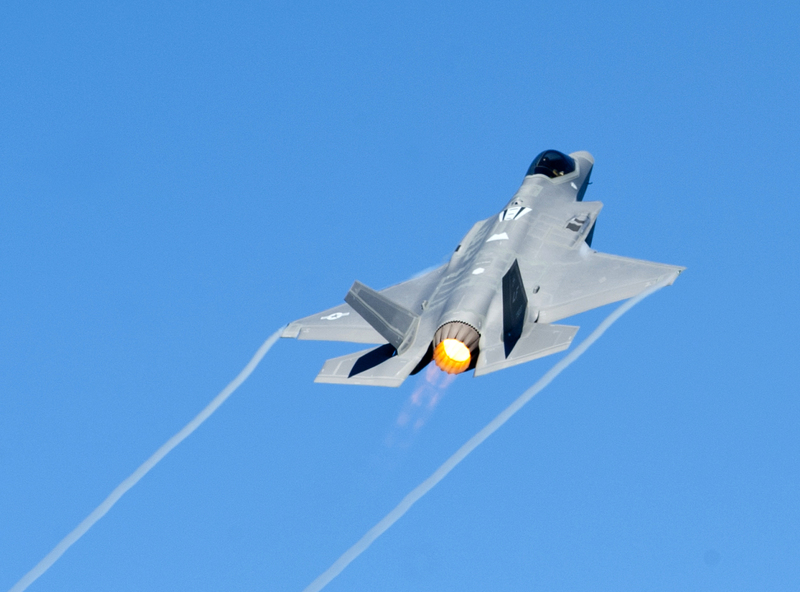 Based in Connecticut, United Technologies owns Pratt & Whitney, which makes a lot of combat-aircraft engines, including the propulsion system for the F-35 Lightning II. Thus far in 2018, its employees and PAC have given 54.6% of its contributions to Republicans. Based in New Jersey, Raytheon Co. makes everything from command-and-control systems to missile-defense systems and precision weapons, like the TOW missile system seen above. Thus far in 2018, its employees and PAC have given 57.8% of its contributions to Republicans. A Littoral Combat ship built by General Dynamics sails the open waters. Virginia-based General Dynamics makes a variety of combat aircraft, land vehicles, and ships, including the Littoral Combat Ship seen above. Thus far in 2018, its employees and PAC have given 55.3% of its contributions to Republicans. In 2016, Maryland-based Lockheed Martin received $43.4 billion in federal contracts, the most of any US defense contractor. It manufactures all kinds of combat aircraft, naval systems, missiles, unmanned systems, and more. It was also recently contracted to develop a laser for US fighter jets. Thus far in 2018, its employees and PAC have given 59.6% of its contributions to Republicans. An F/A-18 Super Hornet flies above a US aircraft carrier. Based in Chicago, Boeing designs all kinds of private and military aircraft, including the F/A-18 Hornet seen above. Thus far 2018, its employees and PAC have given 53.6% of its contributions to Republicans. An artist’s rendering of the B-21 Raider stealth bomber. Based in Virginia, Northrop Grumman makes all kinds of manned and unmanned combat aircraft, among many other things, and is developing the B-21 Raider for the US Air Force. Thus far in 2018, its employees and PAC have given 54% of its contributions to Republicans.